SIM cards also serve as storage for SMS messages and the user's contacts. Current SIM cards can store up to 250 name/number pairs and up to 50 SMS text messages. 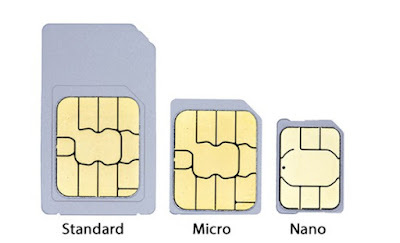 The SIM card cannot store multiple numbers per contact or other more complex information. This means that if you copy your contacts info from the phone memory to the SIM memory, contacts get broken up into as many entries as there are numbers for each individual contact and discards the other information. All GSM phones and most iDEN phones require a SIM card to operate. There are certain types of phones (CDMA, TDMA, AMPS) that do not use a SIM. Instead, the required data is programmed directly into the phone. The first to appear was the full-size or 1FF (1st Form Factor), the size of a credit card (85.60 mm × 53.98 mm × 0.76 mm). It was followed by a mini-SIM or 2FF (2nd Form Factor), which has the same thickness but is 25 mm long by 15 mm wide, with one of its corners cut to prevent misinsertion. Next came micro-SIM or 3FF (3rd Form Factor), with dimensions of 15 mm × 12 mm. In 2012 the nano-SIM or 4FF (4th Form Factor) was introduced, which measures 12.3 × 8.8 × 0.67 mm. 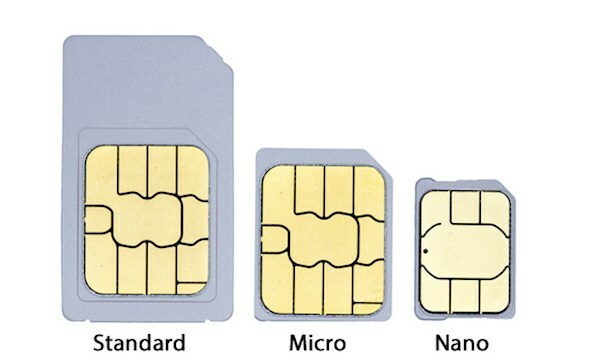 Nano-SIM cards can use adapters to gain compatibility with devices with Micro-SIM and Mini-SIM slots. A Micro-SIM card can also be fitted in Mini-SIM slot with an adapter. In 2016 the eSIM/Embedded SIM, or as it's more formally known, embedded Universal Integrated Circuit Card (eUICC) was introduced. It is soldered onto a device's motherboard at the point of manufacturing while having the same functionality as a removable SIM. There are two numeric passwords associated with a SIM card. One is the Personal Identification Number (PIN) that the user must input each time they start the device (this can be turned off via the phone settings). When entering the PIN number the user has only three input attempts. If all three are incorrect, the card gets locked and a PUK (Personal Unblocking Key) must be entered in order for the card to work again. Only ten attempts to enter the PUK are permitted before the card is permanently locked and made unusable.